Mobile device management (MDM) software is used by businesses to optimize the functionality and security of their fleet of mobile devices, including smartphones and tablets. The intent of MDM is to optimize the functionality and security of mobile devices within the enterprise, while simultaneously protecting the corporate network. By applying custom policies to smartphones and tablets through MDM software, an administrator can regulate both corporate-owned and personally owned devices to the organization’s policies. IT departments use MDM software to monitor, manage, and secure employees’ mobile devices that are deployed across multiple mobile service providers and operating systems, as well as enforce policies and maintain the desired level of IT control. MDM software can limit the risk of lost data, stop unapproved software installs, and prevent unauthorized access to the mobile devices accessing corporate data and networks. Customize, according to company policy and/or requirements. Mobile Device Management (MDM) reviews by real, verified users. Find unbiased ratings on user satisfaction, features, and price based on the most reviews available anywhere. Using Avalanche for MDM, mobile devices are ready for today’s business demands. Whether scanners in the warehouse, or tablets on the retail floor, Avalanche helps maintain control of your most critical mobile deployments. From updating devices around the world in minutes, to targeted updates for specific workgroups, Avalanche mobility management helps keep supply chain workers at peak productivity. Simplify inventory, configuration, and management of your mobile devices. Easily create profiles, enforce restrictions, and set and enforce security policies. Enrolling devices is quick and easy, with full support for Apple's Device Enrollment Program (DEP). Best of all, DEP can be used across macOS, iOS, and tvOS devices. 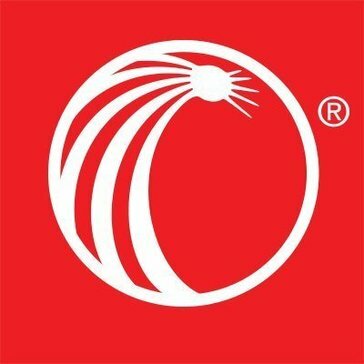 LexisNexis Device Assessment provides a strong first layer of fraud defense and detailed visibility into user activities across all digital interactions and devices in real time. Leveraging the industry's largest global device intelligence networks. littlefleets is a workforce management software that handle daily task from start-to-fininsh, from the initial customer call to dispatching and tracking your team, to creating work orders and invoices, to collecting signature and payment onsite, to getting an automated time sheets and travel reports, all in one place. Desktop Central is a Unified Endpoint Management (UEM) solution that helps in managing servers, desktops, laptops, smartphones, tablets and POS devices from a central location. Automate your regular desktop management routines like installing patches, distributing software, imaging and deploying OS, managing your IT Assets, managing software licenses, monitoring software usage statistics, managing USB device usage, taking control of remote desktops, and more. It supports managing Windows, Mac and Linux operating systems. Manage your mobile devices to deploy profiles and policies, configure devices for Wifi, VPN, Email accounts, etc., apply restrictions on using camera, browser, etc., and to secure your devices like enabling passcode, remote lock/wipe, etc. Manage all your iOS, Android, Windows smartphones and tablets. Desktop Central MSP is an integrated Desktop and Mobile Device Management software that helps managed service providers to efficiently manage their customers' desktops, servers, laptops and mobile devices from a central point. The true MDM solution for MSPs and VARs managing multiple enterprises. Matrix42 Unified Endpoint Management is an MDM solution from Matrix42 that allows complete management over mobile devices regardless of their operating system. MediaContact by Telelogos is an MDM solution that allows businesses to remotely distribute applications and update, monitor workstation availability, and update security policies. Micro Focus Mobile Management (formerly Novell Mobile Management) offers secure, scalable management for your mobile devices and all the apps and assets that come with them. mobile-detect.js is a device detection program. Happy Safer Internet Day! Mobile Guardians powerful, cloud-based MDM platform enables control, management and oversight of countless Android, Chromebook, iOS and macOS devices. Moki provides cloud-native (SaaS) software that makes it easy to provision, manage, secure, maintain and effectively measure tablet kiosks - at any scale. Moki does this by enabling total control of devices, with remote management, security and analytics of hardware, operating systems, applications and content. Great Bay Software is an IoT security and operational efficiency leader providing comprehensive visibility and control over endpoints on the network so organizations can secure data, preserve customer trust and protect revenue. By delivering real-time insights into device identity, location and behavior, Great Bay helps organizations identify and respond to potential threats and improve operational efficiency, all while supporting millions of connected devices. For more information, visit: https//www.greatbaysoftware.com. Our dedicated care team is there to handle daily requests, plan changes, international addons, change of liability, suspends, cancels, warranty replacements, and all other customer service related requests. PolicyPak Software provides total settings management for Applications, Desktop, Browser, Java and Security Settings for Windows endpoints. The PolicyPak software suite enables IT, professionals, to deliver, lockdown and remediate settings for desktops, laptops, VDI sessions, company devices, as well as BYOD. Settings can be controlled either via on-prem systems like Group Policy or SCCM or using cloud systems such as PolicyPak Cloud or an MDM service like Microsoft Intune, VMware Workspace One or MobileIron. PolicyPak Group Policy Compliance Reporter enables real-time reporting on the status of Group Policy settings across the entire network. SecurePIM is a lightweight solution for secure mobile work and access from any smartphone or tablet (iOS, Android). SecurePIM provides a security container for all office data without complex administration technology and ensures that private data is strictly separated from business data, so employees can use it even on their personal devices. Valet is a mobile device management software that increases user productivity, application adoption, and reducessupport costs by empowering users through mobile self-service, training, and streamlining IT support. Mobile device management (MDM) solutions help you access mobile devices, keep your data secure and empower employees to be more productive. Enhance management of your mobile environment with our Managed Mobility Services (MMS). 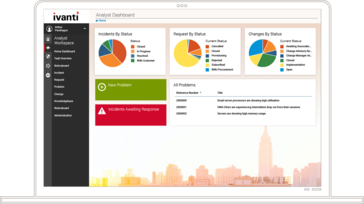 Reduce downtime and increase user productivity. Wireless Watchdogs is a leading supplier of MDM services to companies and government entities of all sizes. Hi there! Can I help you find the best Mobile Device Management (MDM) solutions?